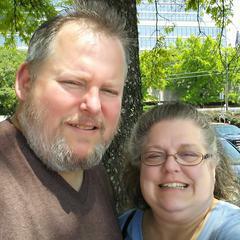 Queens Court has moved from Georgia to Tennessee. They have puppies are raised in their country home by a husband, wife, and son team who socialize their puppies with romps in the yard and lots of play indoors. They are de-wormed and immunized and come with a one year health warranty. They keep an active Facebook page of puppy placements and good references. 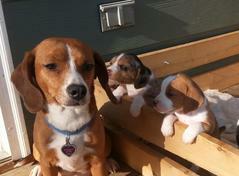 See the puppies at We Have Pocket Beagle Puppies! The Queen Elizabeth Pocket Beagle puppies raised in this Southern Tennessee home have frequent handling and play and eat the best food. They receive de-wormings and immunizations and come with a one year health warranty. Their breeder is Amy Bornstein. Her husband Shawn is home full time with back issues, and he can attest that holding the puppies helps relieve pain! In fact every dog there is a therapy puppy to him! Dee raises her puppies right in the family home. She lives in a country subdivision so the number of dogs she can keep is limited by local zoning. She has a small male and two females. They typically have puppies every year. Raised with love and attention, the puppies are well-socialized. The entire family helps raise them. If a puppy remains with her long enough she starts house training. Dee is a nurse, so knows the importance of regular de-worming and puppy immunization. No Puppies expected at this time. Page Under Construction--More being added soon! 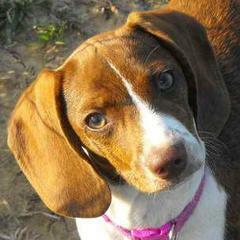 There are approximately a dozen breeders of Queen Elizabeth Pocket Beagles around the nation. More are being added to the directory as they renew their breeder contracts. All Queen Elizabeth Pocket Beagle breeders agree to provide our foundation one year health warranty to their puppy buyers. They also work together for the improvement of the breed and contribute to providing emotional support puppies to special need children and adults through the Get-A-Wag emotional support therapy puppy program.